Industry Sherpa offers a super affordable and easy to rig vehicle stabilization solution for almost any application. If you are looking for high-speed motorcycle action, simple car to car solutions or super smooth images on the open water, Industry Sherpa has a solution to meet almost any budget. As the North American reseller for Flowcine we can combine our Flowcine Black Arm with any industry standard remote head or our super powerful, lightweight NEWTON or even an affordable Movi Pro or Ronin 2 should your budget require it. Hire us to turn almost any vehicle into the perfect stabilized camera support car. 2006 Ford F150 Raptor with no luggage rack ready for shooting. 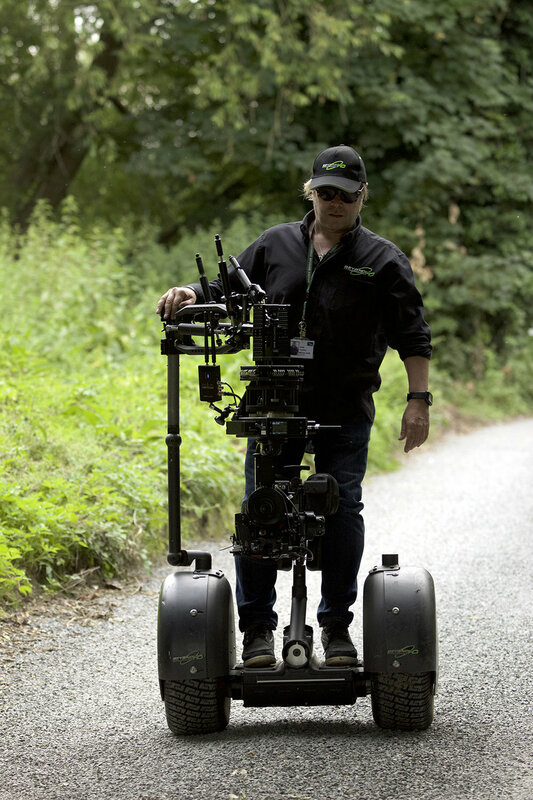 Movi Pro and Flowcine Black Arm. Polaris ATV with Flowcine Black Arm and NEWTON. Eric controlled the camera 100% wirelessly as the stunt drivers chased the picture car through 4 levels of parking structure and out into the street. 2006 Toyota Sequoia Camera Truck Interior. Enough room for your Director or DP, DP or Camera Operator, 1st AC, Remote Head Technician and the Driver. Room for 5 including tools with Stunt Driver, Director, 1st AC, Camera Operator/Tech and DP all with monitors. Motorcycle Mounted Flowcine Black Arm with NEWTON 3-axis stabilized remote head. If your key grip can provide us with a 1.25" or 2" stable mounting pole, we can combine any remote head or light-weight gimble to the Flowcine Black Arm and mount it to a motorcycle for some fast and stable action. We even had the latest Rigid Nose Mount for the Black Arm that makes this type of configuration safer to operate than previous revisions. Boat to Boat Stabilization with Flowcine Black Arm and NEWTON stabilized head. Unbelievably stable, the Black Arm and ISO dampeners from Flowcine combined with a variety of stabilized remote heads including the NEWTON stabilized remote head pictured above enable your production to capture super stable images at a fraction of the cost of previous solutions. Car mounted Flowcine Black Arm with NEWTON stabilized head. One of our most requested services is providing affordable car to car or stable scenic plates for a variety of clients. We can either provide an affordable solution using our own Toyota Sequoia or mount our rail kit to your own production vehicle or simply mount the Black Arm and stabilized head to a camera car. Easy, Fast and Affordable.